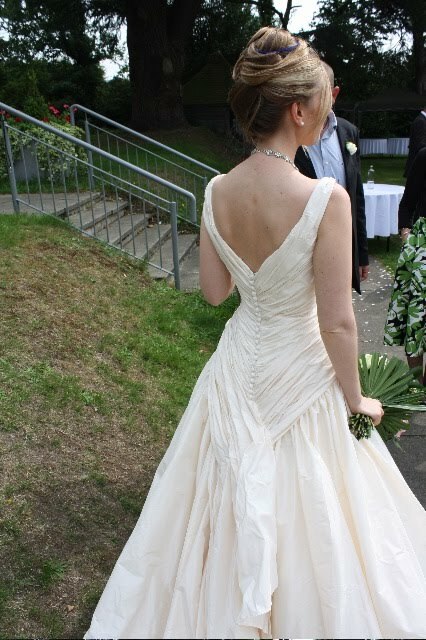 Category Archives: That special Day make it so! 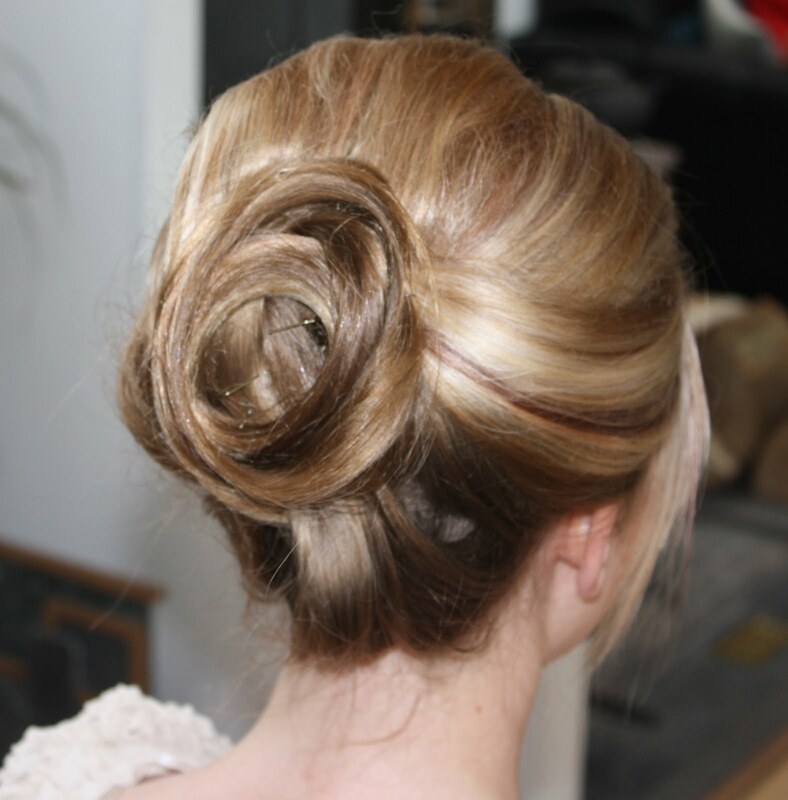 Wedding day hair for the Bride: The biggest day the happiest and hopefully one of the most memorable days of her life. As Stylists we play a big part of making this day a big success.We have to remember that the look we create will always be part of the record of this special day. Consultation with the bride having a relationship having a clear understanding of vision look that the bride to be has in mind. We have to remember that we are the professional. Should we advise if a look is not the right? If the style is not suited because of hair type or indeed general look? Yes of course our job is to sympathetically advise and guide the bride to be. This should all come out of the Consultation and indeed practice sessions. A place to share thoughts post comments and idea’s on matters relating to hair colouring skill and techniques and anything industry related. 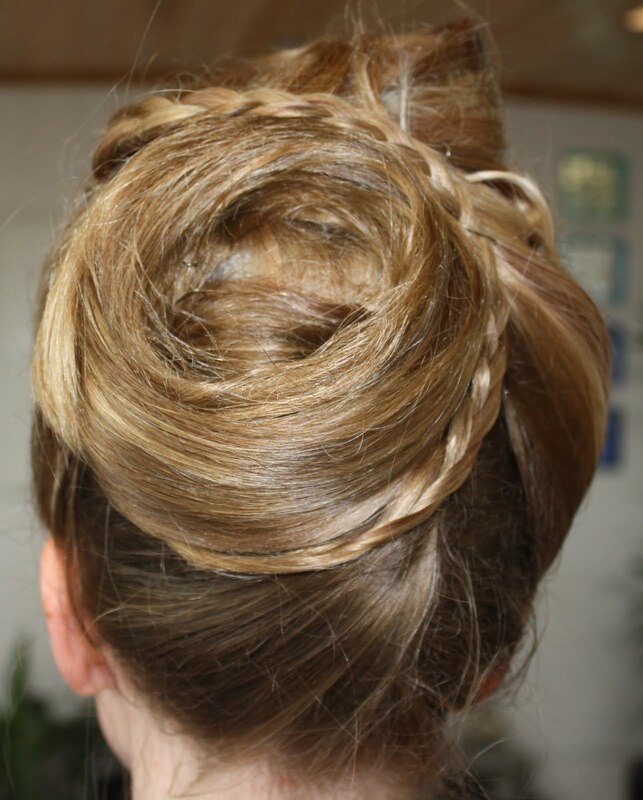 Working with our clients to find and create that perfect wedding hair Up-do that special look making her feel princess for a day. has many challenges an diet can be such a rewarding journey for al concerned. Stressful, emotional, A journey embarked working to discover and create that perfect look and style! As I write this and reflect on what an important day this truly is. I wonder how many of us as stylist really take the time to consider what a privilege it’s is to be a part of this an dhows seriously we take it .For it is not just another up do another wedding another way of making some extra cash! I will share with you practice session not always pretty but it’s how one gets feel for the hair how it will go up looks that w evan create it’s play time. 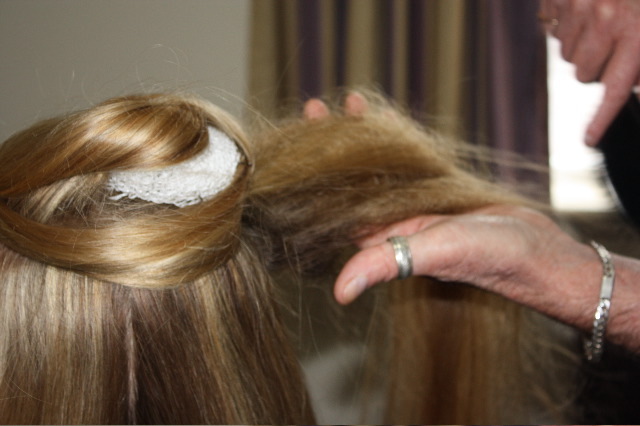 With very long hair one has to have this practice time not just to find a look but also to get the timing right! In the case of my daughter we were dealing with very long and quite fine hair hair. We also have to consider colour and work back from the wedding date to make suer it looks it’s best on the day. I would suggest in most cases the colour should be done about a week prior top the day! 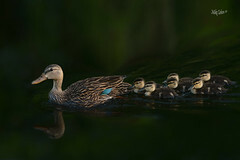 Below first session as have indicated sharing all so not saying they are all perfect or ideal it’s part of the process. Having played around with the looks above and below we ruled out braids and anything to bitty so we established what we did not want progress. through consolation listening and patients. The out takes session one we decided to busy and disjointed and no braids! moving on: next we start to play with the idea of pleats and buns again exploring options. We decided both these looks we liked the swirl but not big enough and just a little to much going on again we agreed on this whilst look at digital shots on the comp of each look. 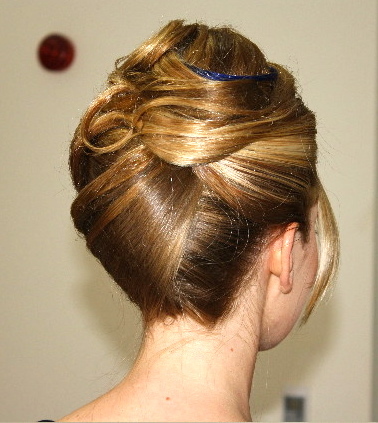 takes time but well worth itbelow the last look we dismissed as being a little to much like a french pleat! as classic but not for this look. As you can see quite a few looks and styles created explored and ultimately rejected! patients on both sides is a must, the bride can and indeed may become emotional it’s stressful process. But so very well worth while. All the looks show off colour texture but just missed a little something until one just pooed out! It is my opinion that some of these up do looks area very messy .I wanted to share the experience so had to post them to show the journey we took.The out takes and how it evolved it does not just happen. even top stylist practice a look so it looks easy and it works! No we are getting closer to a look and both feeling better! These last two were the end of day one and i think show quite the journey of how things evolve shapes form ideas come to life below the find; look on the day.Note i did not see or know what the dress would be like i put her hair up prior to seeing her. 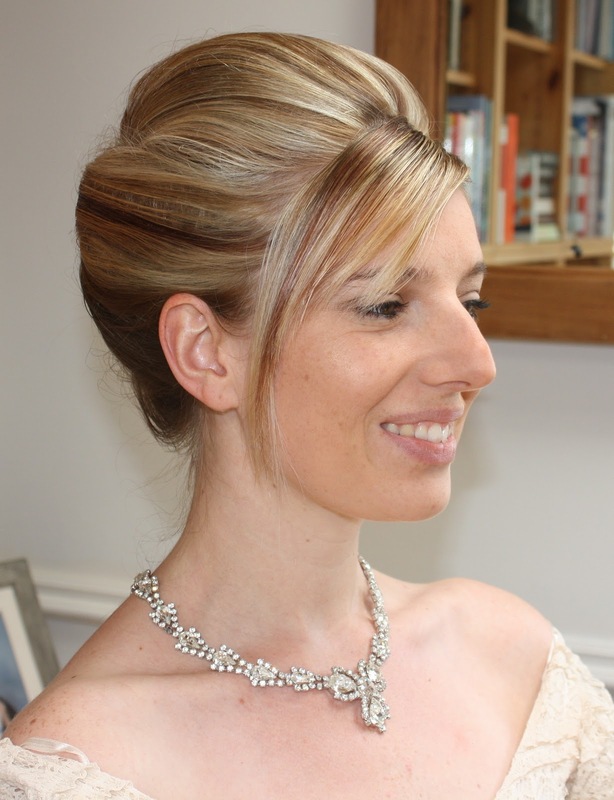 show off a look but they also show texture and show off the highlights oh and the beauty of the bride to be. Whilst doing this exercise we had i deal i would not see the dress but would find a look that would do it justice. We discovered on the day the the pleat and the texture created worked the same way as the fabric of the back of the dress Master the art be creative have confidence enjoy creating remember it’s not always about money the rewards can be so much greater!! shot from the back lots of texture also showing off the low lights in her hair this adds texture and movement. finally having some fun with some very long amazing red hair you just have to play explore have fun be creative working with your client enjoy the journey the experience the challenge. Elegant evening and cocktail hair! 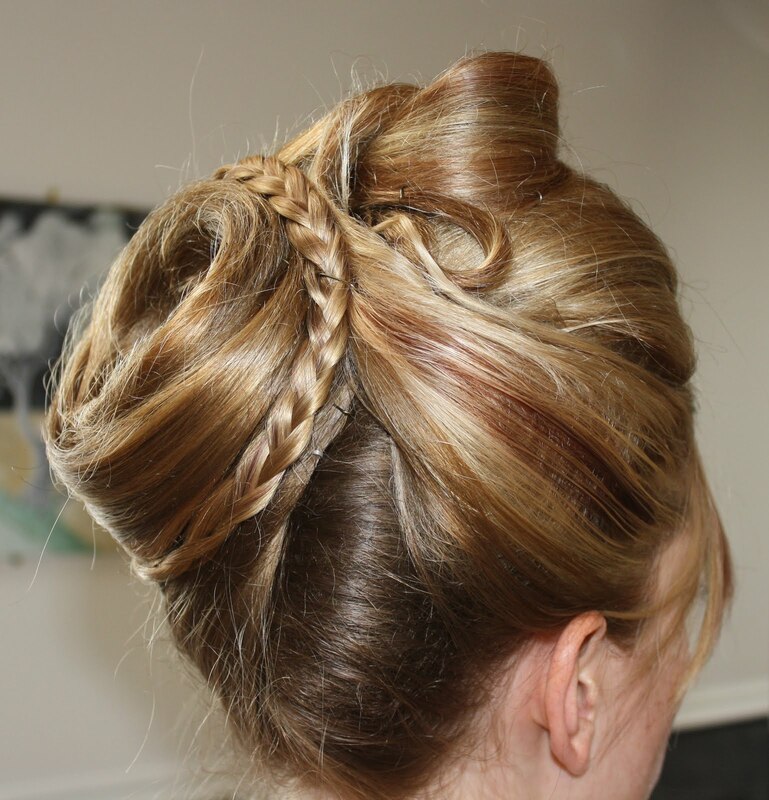 Working with our clients to find and create that perfect hair Up-do that special look for an evening out or event and of course that very special day the wedding day making her feel princess for a day. 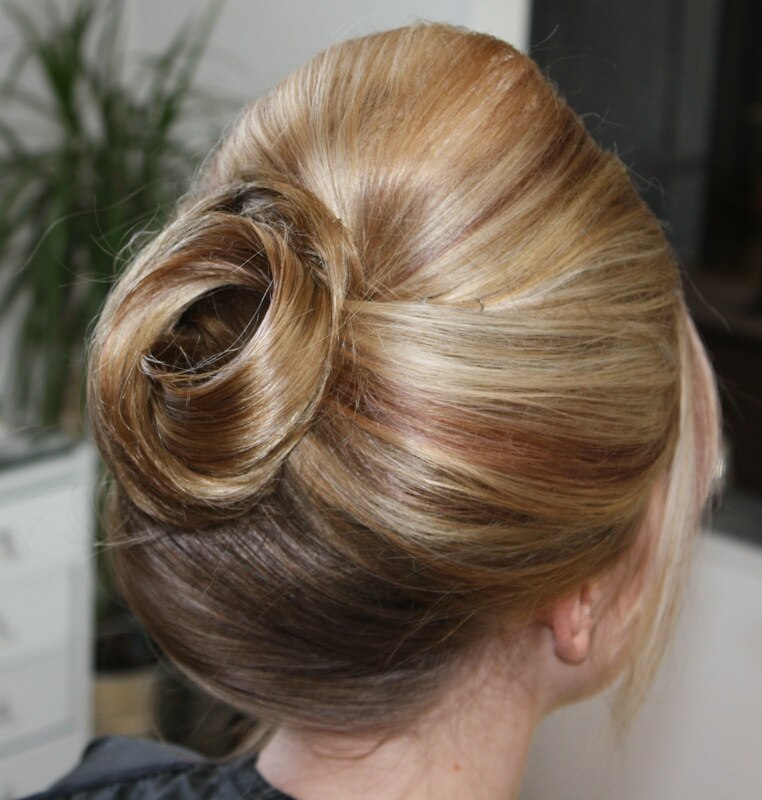 becoming good and indeed comfortable with putting hair up does not come easy to all stylists in-fact some never master the art or feel comfortable doing it. Sad it is such a creative part of what we do and is a service we should be able to offer our clients. It’s a fear we should face and get over. A skill we should like all others master. The look below we dismissed as being a little to much like a french pleat! as classic but not in this case the look or feel we are trying for discuss with your client how they feel about any look you create this is how you can establish that your working together . 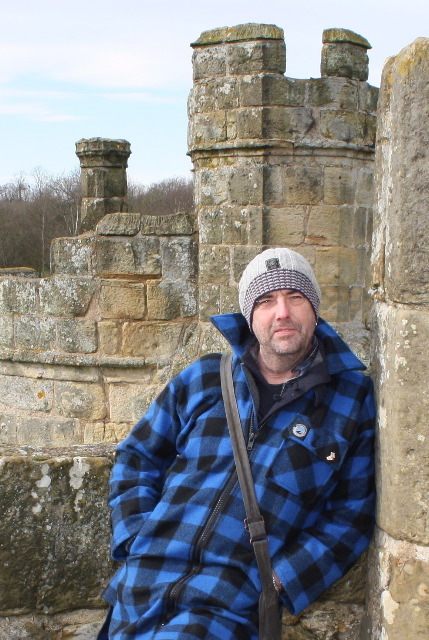 As you can see quite a few looks can be explored. Patients on both sides is key to this process and so very key to the crating and finding the final look. A look that show off colour texture. Some looks I like but others just missed a little something until one just pooed out! It is my opinion that some of these up do looks area mess but i had to post them to show the journey one take sand how this evolves it does not just happen. even top stylist practice a look so it looks easy and it works! These last two shots show off a look but they also show texture and show off the highlights oh and the beauty of the bride to be. Whilst doing this exercise we had i deal i would not see the dress but would find a look that would do it justice. Master the art be creative have confidence enjoy creating remember it’s not always about money the rewards can be so much greater!! Be inspired don’t be put off with or by client request master your art always be confident remember practice makes perfect But also relives the unwanted stress of the up /do request. Comments Off on Elegant evening and cocktail hair! The up/do. Creative, stylish ,elegant, fun. 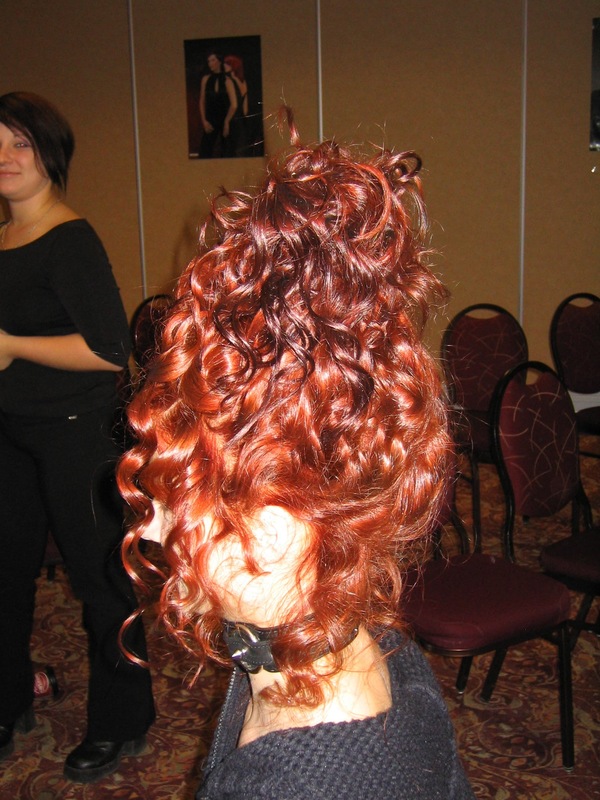 The up/do creative fun and can be a challenge for many. My hope over the next couple of days is to share with you one look start to finish. Then post a few different looks. The key to getting the look you want is three fold. Firstly consultation with your client.What type of look she is hoping for what is the event ?What is she wearing? Secondly confidence in your ability to deliver said or requested look. Lastly. Vision and technical ability to create something that will not only look good but will last the evening what ever might transpire!! Just like all other services we offer. We have to work with order and structure. creating shape and final look is still about structure and foundation building and creating a look that will last look elegant and stylish. Length of hair type of hair should not be an issue if you know what your doing and work with confidence this comes with practice . 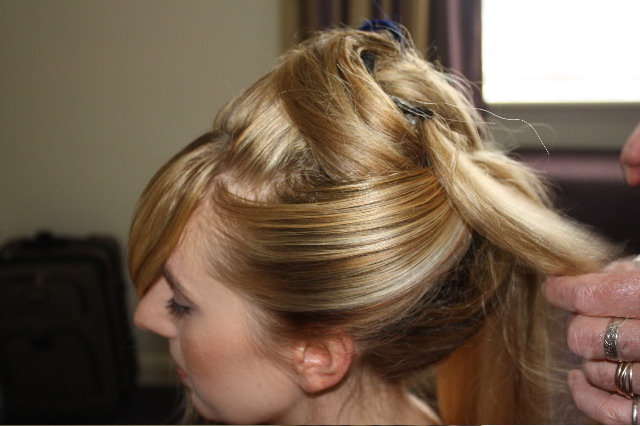 As I post shots of this models hair going up you will see even though it’s really long it’s quite easy to manipulate. 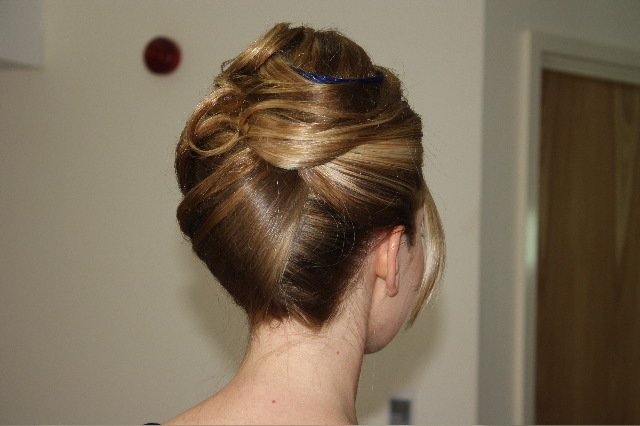 Being good at back combing really helps and working neatly be organised. The look we are creating will be very polished and elegant with height at the crown to achieve this i have started with a high partial pong tail and pulled it through a doughnut to give me a solid base and extra height on the crown. 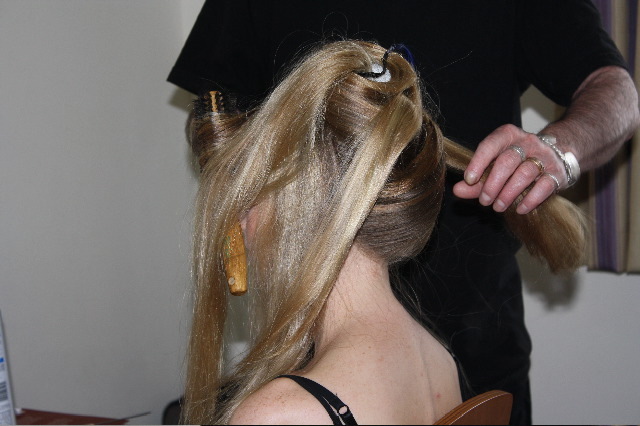 Before starting to wrap the hair around the base i back comb it to give volume smoothing it out with a Mason pearson brush. This shot show’s how the shape is coming together the height is forming on the crown we are in control of each section as we place it. It’s starting to be fun! 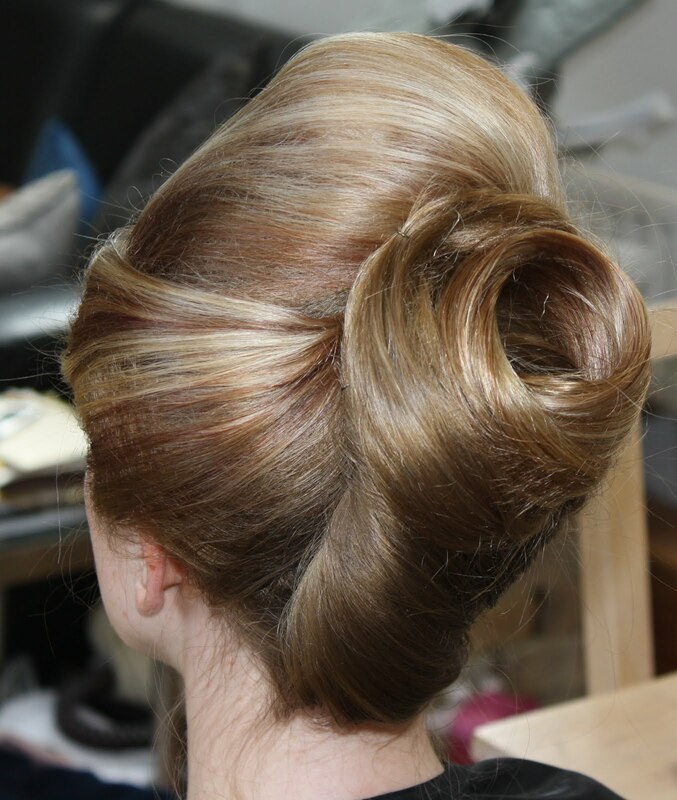 Remembering that we are looking to create a shape with height width and texture.but smooth and elegant.Everything in this look revolves around the central pony tail and doughnut. Here we are the look is staring to come together we have now incorporated the sides in the look it shows of both the highlights and movement of the look we have set out to create. We still have some work to do on the crown area and some long hair still to hide and work with. Almost done now as your can see all that long hair has been used to create a pleated look giving the look lots of dimension and texture .showing off the multi tonal colours. 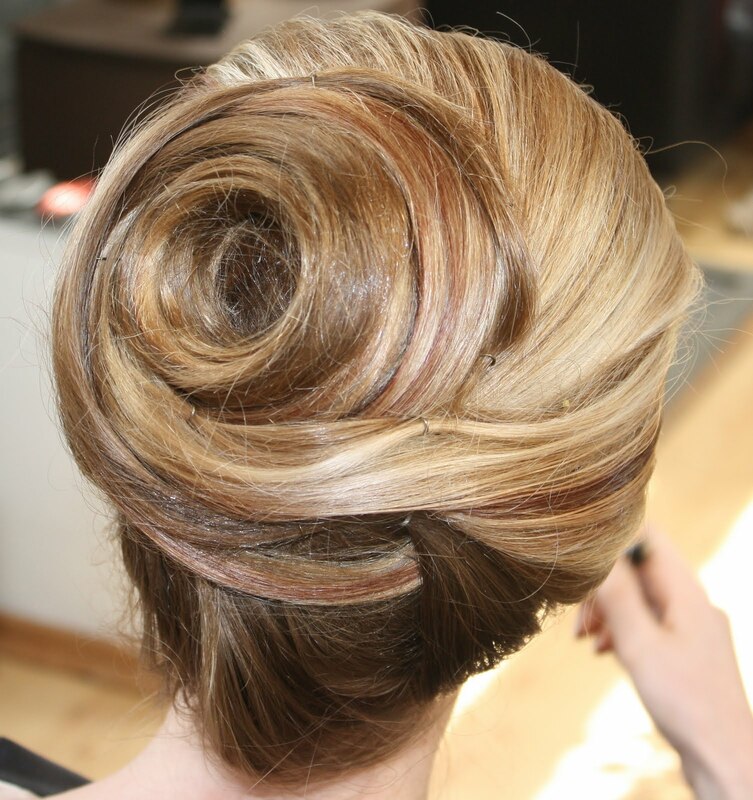 this type of up do will stay up all day and night! One strand left to play with. We have also added a little with a little blue hair extension just for a little variety. The last step is to work to put the finishing touches to the look lose any unwanted stray hair’s make sure it tight feels safe and that the client feels confident with the look and how it feels. Does it feel safe and secure and is it comfortable ! Yes no pins sticking in her head! Comments Off on The up/do. Creative, stylish ,elegant, fun. As we approach this very busy season for both salon owners and stylists. we should take a moment to make some choices regarding how we are going to deal with and approach the next few weeks of increased and demanding business. Sometimes short term gain can lead to long term pain! 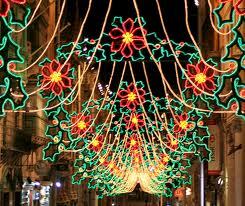 Oh and don’t over do the decorations!! For the client it’s a very social time parties at work, family events. For us the stylist it’s that balance of trying to fit everyone one in keep everyone happy, I say balance because it’s so easy to get caught up in the busy rush and forget the service take short cuts over book to the extent of upsetting maybe even loosing clients. Remember its all about time management and being organised but also remembering you only have one pair of hands. It’s about team work! it’s trusting and relying on the receptionist to do a great front of house job in both booking but also time management. You still need to offer the best service experience that consultation that recommendation for products and maintenance. Traditionally the next few weeks mid November into Mid December is technical work time so concentrate your time on this. 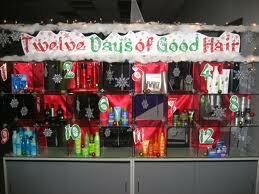 As Christmas and shopping frenzy kicks in so does the need for social hair !! party fun stuff. The closer we get to Christmas the more chance of missed appointments and lateness as the pressure of the shopping the gifts lack parking,so be ready and prepared. As a consumer. I would really appreciate if a lot more hair salon would prescribe products / recommend / give advice to help maintain or improve the condition / styling of hair. This was posted in response to a topic i posted but it goes to show that clients do want advice help guidance it’s what they come to you the professional for. If we get so wrapped up in the seasonal over booking something must suffer normally service! Offering advice on products and how to maintain manage a style once home is part of the support and follow up service we should offer. 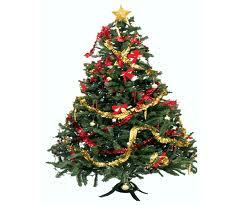 At this time of year great deals can be had by clients on christmas offers share this with them. Back to the busy season making appointments and sticking to them staying on time is key to staying in control. It is the job of the receptionist to run the front desk handle clients booking, and sometimes those late arrivals that can destroy a day, for you the stylist but also all clients booked because of this one lateness the knock on effect will impact everyone. I suggest a 15minuite rule later than that it’s rebook for this to work you have to be consistent all year round about this policy don’t implement it the weeks running up to the Christmas season. If you want to take advantage of all the extra season business extend your hours don’t over book your day beyond what is possible work harder in December take some time in January it’s all about balance your clients will respect you much more than if you keep them waiting short change on service or make a mess through rushing. Remember you can only do what you can. those clients demanding last minute appointments well some may feel let down so make a point now of encouraging them to book.If they don’t then you cannot feel bad they let them selves down by not being organised. 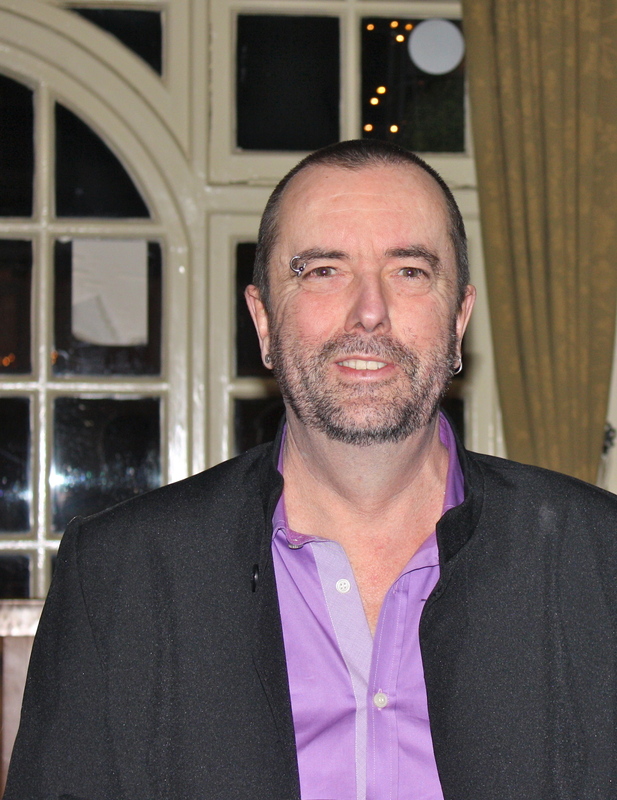 Comments Off on Salon stylist seasonal pressure. 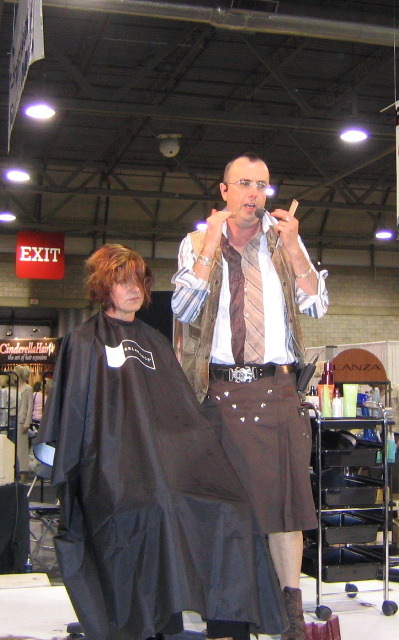 What are the greatest challenges to stylist and salon owners and managers? Building up and retaining clients. Attracting new business. Being competitive with other local salons? Having that trusting relationship built on. Skill, honesty, creative talent with our clients and staff. ! Oh! And service. As stylists we can so easily get caught up in being busy staying busy slightly over booking that we forget what is really important. The client. The service. The consultation. The after care advice and so product sales advise. Over the years I have come to realize that all of the above points are key to success. They are also the main things we as stylist’s forget, take for granted. These are the things we need to stay on top of, make part of our daily routine when working with our clients. 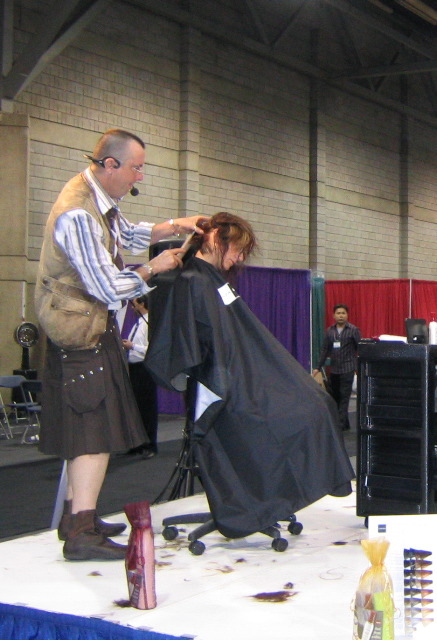 Salon owners and managers need to consider the location when setting up a new business. The image. What are your goals? How do you become part of the community you hope to serve? Below the salon well situated in between the two salons that opened recently but this one closed down as the two new one’s opened who has it right i wonder ? 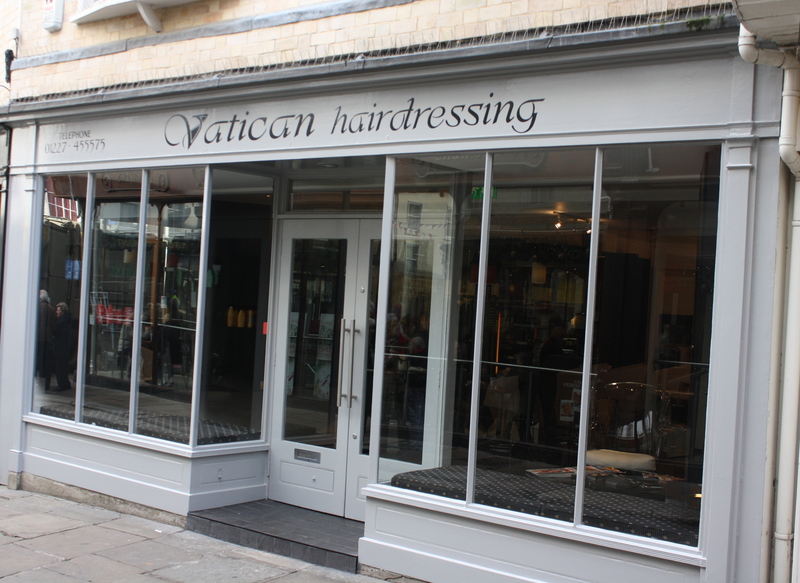 I have recently watched two new salons open in the city where I live. They are a few streets apart for this to happen two salons closed. Is the progress or poor planning time will tell. A topic for another day. 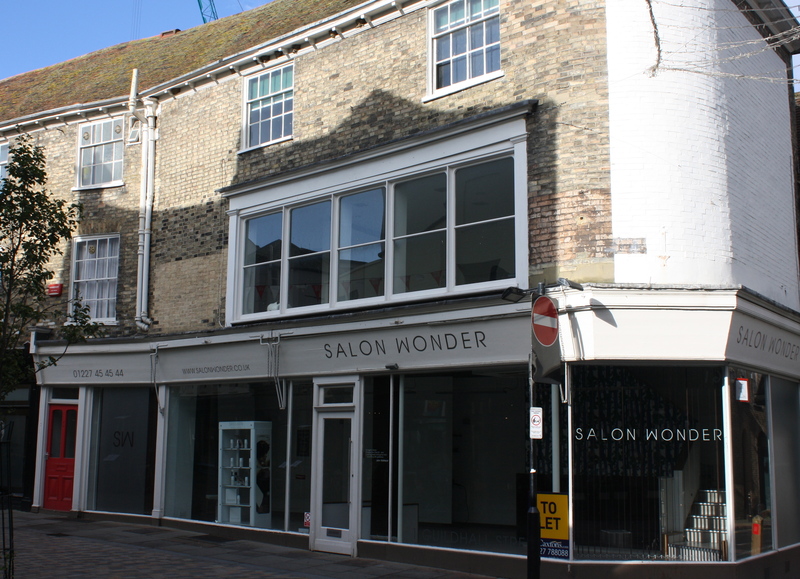 But worth a mention both these new salons have come into town expanding from smaller towns. Both have the same idea both looking for a piece of the pie! Hum!!! Battle of the newbies. 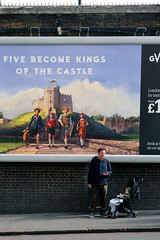 Who will stand the test of time.Who will the paying public endorse in the hard economic times? Both have invested in a fancy up market look both very different. I did try and see if i could have an appointment to talk with one owner about vision concept goals. No response was forth coming ! fear is normally what holds owners back from talking openly.What do they have to fear ? Above: Second shop newly opened the challenge is on. Can it, will it. 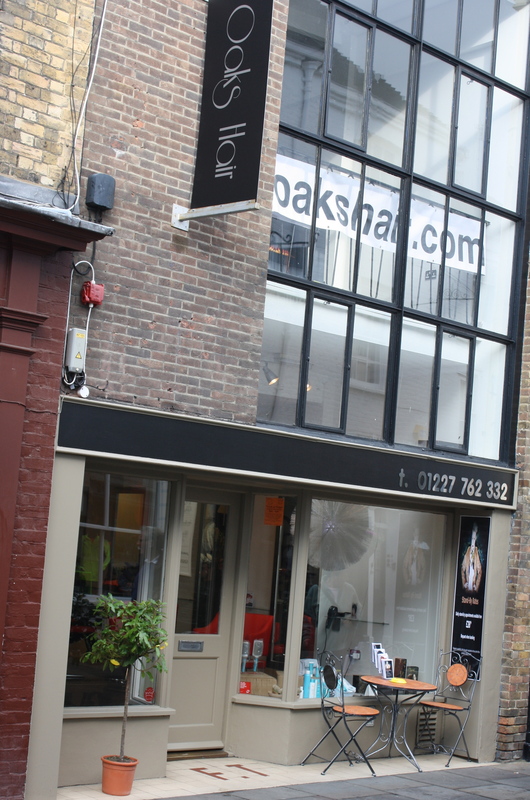 Attract enough new clients will the local community embrace another salon in the city? it markets it’s self as 5star hotel treatment that might put some off! just a thought. Image and what we present to the public is so key. This little book is a real Gem readily available in the USA and soon to be in the Uk it offers advise, asks questions, It challenges you to make changes and shows you step by step how to make them. It covers everything we do, the daily situations that are presented to us daily. In this book, Karen will cover all you need to do to make changes, she challenges you to follow her step by step to realise your full potential become truly successful. My review of Karen’s book. 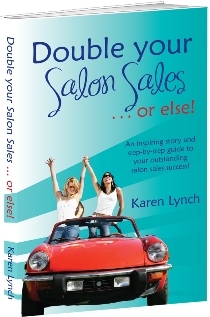 In writing Double Your Salon Success, Karen Lynch shows she has a true understanding of the hairdressing world. She reveals the very essence of what makes for success by identifying the combination of service, consultation and sales that are needed to grow and be current. This book encapsulates so much of what we as stylists forget or take for granted. As Karen shares with us Pamela and Skye’s journey, she takes us on a roller coaster ride from start to finish. She reveals their struggle to make their dream a reality which is at times frustrating and emotionally upsetting and at other times exhilarating. As we read, we think “hey, that could be me; that is so right; what a great idea.” From start to finish, this book is a thought provoking and entertaining read that will leave you wanting to take the challenge to walk a new path to success. The things we do define us. It’s these things that motivate, and inspire us. Question who you are, what you do, what really empowers you. The challenge is to ensure you have the right knowledge and tools to feel empowered. That feeling of positive affirmation will help you take charge and live your dream. Courses be they. Technical. Hands on. Shows or demonstrations, are all very worth while. However the real motivator is being creatively challenged, getting excited, having fun at work and in your life. The real key to this is. The service we offer. Our communication and consultation skills. Honesty when giving advise on after care and sales. Its this book that raises the questions, offers the answers, Karen has a finger on the pulse of our industry. It happens that with all my years of experience all that this industry has challenged me with given me, showed me, all this has proved that service, consultation, skill and communication are the key tools we all need to have. Being able to put one’s Ego aside and having the right level of humility we can all challenge our selves constantly striving to grow and help others to attain higher levels. 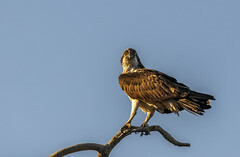 Kathy Jager based in Chicago Illinois do take a look at both these links and sights so much helpful insightful information. As we head towards the end of the year start to think of a new and different approach to work to your clients your business for the new year make plans now set goals take action. We just about finish posting warnings and exhausted the discussion on some of the professional keratin based hair relaxing products and how important it is to research that they are safe. formaldehyde free. We have had ammonia free foaming hair colour. We have had ammonia free all natural heathy hair colour for home use and application now we have. Charles Worthington Salon at Home Straight and Smooth hair straightening kit for non coloured hair. Charles Worthington Straight and Smooth hair straightening kit, get the ultra-glamorous results of a professional salon straightening treatment from the comfort of your home. Get gorgeously straight, smooth and more manageable hair with natural bounce for up to 40 days from Charles Worthington Salon at Home Straight and; Smooth hair straightening kit. Completely safe and easy to apply in just 25 minutes, this patent-pending breakthrough treatment uses Cystamine, a gentle and effective straightening active that re-programmes your hair memory and tames frizz. It’s 100% free from formaldehyde and ammonia. Get the ultra-glamorous results of a professional salon straightening treatment, all from the comfort of your home. The experts at Charles Worthington have developed Straight and Smooth to help keep your hair straighter for longer. Working closely in collaboration with world-renowned hair expert, Professor Wortmann at Manchester University, the product has been over two years in production to ensure the best results for your hair. This breakthrough straightening treatment uses cystamine, a gentle and effective straightening active. Cystamine works by re-programming your hair memory so your hair will stay straighter and not want to frizz, even in humid conditions. Our patent – pending technology is blended with proteins and argan oil to leave your hair looking smoother and healthier for longer. Straight and Smooth is 100% ammonia and formaldehyde free meaning the product is safe to use and gentle on your hair. 85% of women who trialled Charles Worthington Salon at Home, Straight and Smooth agreed it effectively straightened their hair for up to 6 weeks. As you can read from the above although it eludes to no Ammonia no formaldehyde it does not tell us what’s in it. How it opens the cuticle how it relaxes the hair my guess either Grain alcohol derived Alkaline mixed as a cream to weigh the hair down keeping it straight in the 20 minute process time it does require neutralising [just like a perm] it’s really a acid perm in reverse not rollers! I read some reviews not that good sounds rather smelly! Cystine is what we have in our hair to create curl. We relax the cystine one of the hairs 19 amino acids to make it straight!!! It might last 6 to 8 weeks that does not mean re do every 6 to 8 weeks !!!!! It sadden’s me when well respected professional celebrity stylist have to endorse theses none professional products.So much for years in the industry and being a professional. It’s all about the ££££ or $$$$$. To carry out this procedure one has to put the hair into an alkaline state open the cuticle. We do that with various strengths of Ammonia or with MEA or an alkaline derived from grain fermentation this allows it to be called natural! Be aware that issues can arise if doing a process like this possible breakage do not do it on pre coloured or bleached hair any doubts seek professional advise. I really have the greatest respect for so many of our celebrity stylist they mentor so many. They are looked up to by young aspiring stylists who look to them as professionals these sort of products cheapen that image. Always research any product read reviews before applying it to your hair! Created as a source of advise education knowledge skill experience. 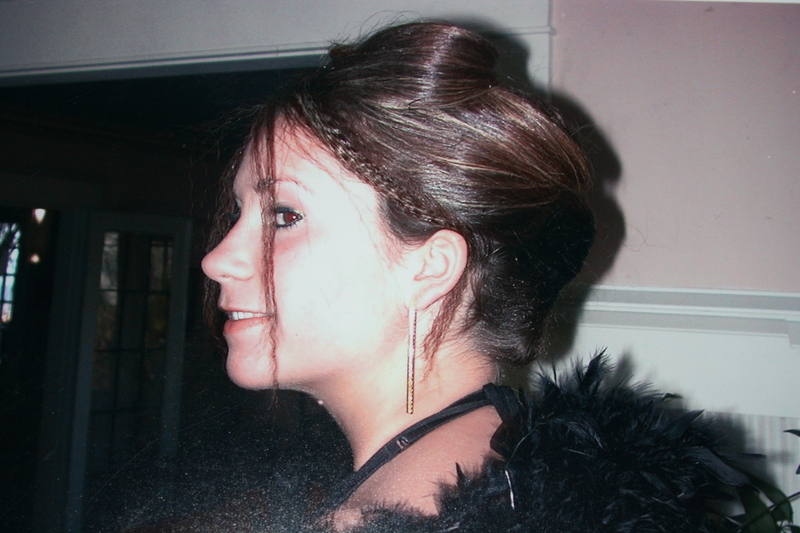 My Blog is about Hairdressing. Products, but also about the service Industry. Something we as stylists provide yet in some case the service we don’t offer! we forget! We get lazy.Complacent !! 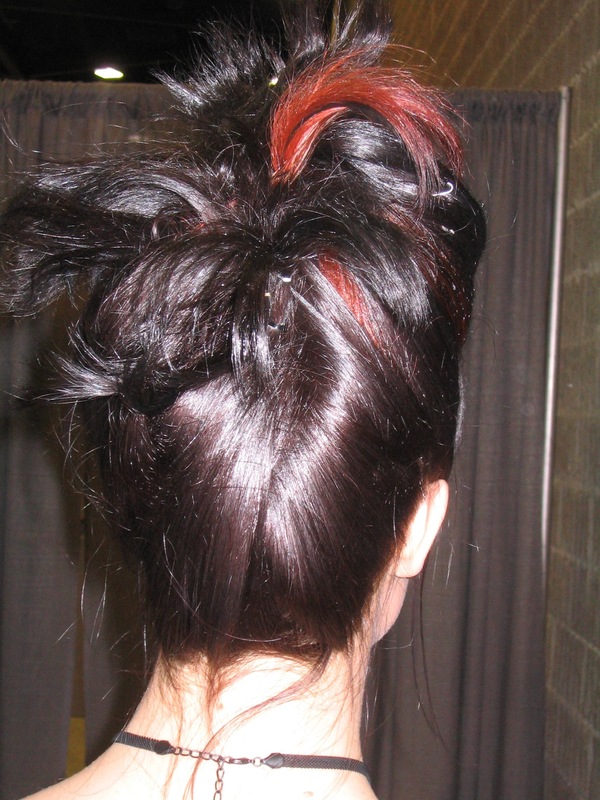 After a bad experience to a highly recommended salon would you expect a client to return would she recommend. This place. This salon. This experience? Maybe but it would not be in a positive way! The answer is a Big NO! so can you see where we are going with this? How do you think your client might feel if for along period of time you have in between hair cuts trimmed her fringe/bangs free of charge just a quick service you give in between appointments. The one day out of the blue your regular clients pop’s in for a fringe trim you charge her say £5.00 0or £5.00 .will she questions this? is it a deal breaker ? is it enough to make her think twice about the service and the cost? answer yes it is think before you act short term gain long term loss! 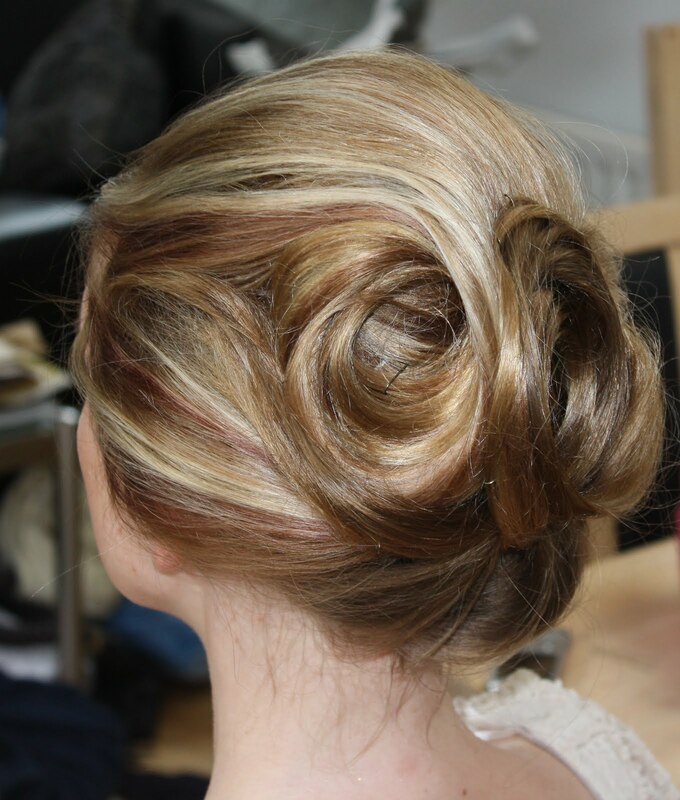 The Salon is no different to any other service related business. How many times are we on a role that busy day fully booked up and yet we keep fitting people in that busy day becomes an exceptional day! or so we think but was it? In these very competitive times offering exceptional ‘Service’ That totally special experience is key to having and more importantly retaining clients and indeed getting new recommendations. So that Busy day: A salon should be fun full of life. Interaction, friendly, inviting The problem with that busy day that big money earner it’s a short term view to success and reaching a consistent level of steady bookings. When we over book, keep clients waiting. We compromise the service in some cases we take short cuts we have to seek the help of others, we might get an assistant to do a colour application that we normally do or that blow dry, we have all done this but it does not go unnoticed trust me your client does notice. So on reflection: Although it was a busy day a big earner it was chaos you fitted new clients in but at the end of the day how many did you loose? a happy client recommends an unhappy client does not! You will never reach a level steady busy days with good client retention when you take short cuts and over book money should not be the motivator! concentrate on the client the busy days the higher salary will follow! other wise that busy salon will start to look like this! Whilst the Salon down the road thrives! Maybe with your now moved on Clients! Should this happen to you it’s time to reflect on. What you are doing. How you are doing it and what your real goal is! We all have to sometimes take a look in that mirror and remind ourselves that no one is indispensable and that service and the client retention Recommendation are key to success. The Key to success is the time you take with that consultation it is important to note that a consultation should not be limited to new clients that little bit of time spent for that quick review with a returning clients puts then at ease makes them feel specialThis is your time to introduce your self to put your client at ease share thoughts ideas, educate them with your knowledge. In some cases this honesty could be a recommendation that a colour service at this time might not be a good idea but conditioning and working toward that service would. Trust me this works! you have been honest explained why this may not be a good idea you are building trust,respect, A relationship! we are in the business of offering service advise solving problems solving solutions. A tall order far removed from just standing behind a chair talking about yourself in a flaky none caring manner! As an example when we get hair like this, above slightly over processed looking dull. Condition refresh recommend products: Discuss realistic goals set out time frame book that important revisit all stuff we know all stuff we forget about! I moved back here from Canada almost two years ago and still have contact and relationship with clients to this day. They become friends it becomes a relationship its a journey we take! its fun! 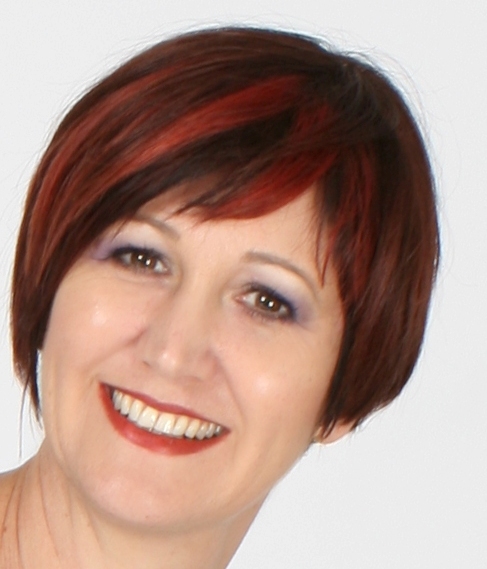 * Consider clients skin tone, eye colour, how they present themselves! *Never put a shade chart on a clients lap and say! What colour would you like today! * Honesty is best Policy. * Take the time to listen, be educated, well informed, creative and skilled! We should also consider help support material to maybe guide us forward.Maybe help us address some of the issues that we have allowed to get a little lacks.The service Communication. Consultation skills. We all from time to time need to take a step back and seek help and advise. We need to use all the tools that are available to us.The ones that motivate us. Ones that are written specific to the issues around our industry by passionate professionals who have so much to share and offer to us. One helpful read is the book below written by Karen Lynch it’s very insightful on so many aspect of owning and running a salon and motivating staff. She is a driven motivated passionate industry professional. It’s is very much hoped this will soon be on sale here in the Uk but you can order via the web link. Having read the book and watched the educational DVD’s and as some one who has nothing to gain from this recommendation apart from sharing it as a tool that I think very inspiring written by someone with a solid background and so an understanding of the issues we all come across daily in the salon as either an owner manager or stylist.